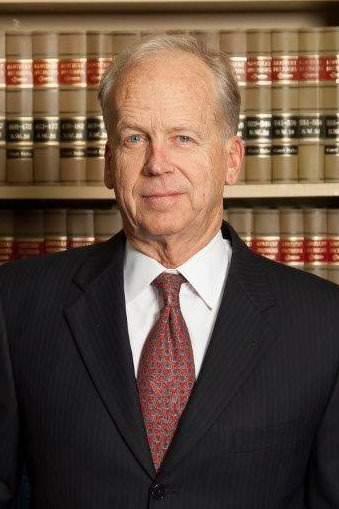 Grover A. Carrington is in charge of litigation at White Peck Carrington, LLP. Over the course of his career, Mr. Carrington has provided counseling, investigation and litigation services to numerous corporations, banks, civic and religious organizations as well as working with families and individuals. Mr. Carrington has been involved in many types of civil litigation including business disputes, automobile and trucking collisions, catastrophic injuries, wrongful deaths and medical malpractice in state and federal courts. He has also represented numerous individuals charged with serious felony offenses as well as misdemeanors. He has argued cases before the Kentucky Supreme Court and the Sixth Circuit Court of Appeals. Mr. Carrington has been active in his community, giving his time and effort to serve as Deacon at the First Christian Church, Chairman of the Mt. Sterling - Montgomery County Recreation Commision, Site-Base Member at Montgomery County High School, Attorney-Coach for the Montgomery County High School Mock Trial Team which has won multiple state championships, member of the Kentucky House of Delegates and President of the Mt. Sterling Golf & Country Club.